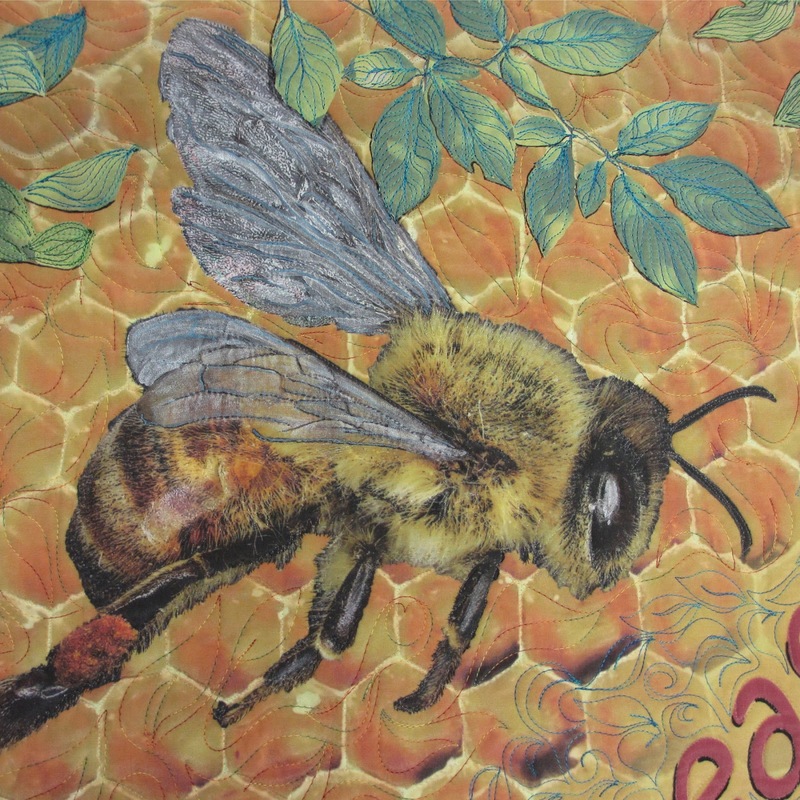 Linda Teddlie Minton's "Peas 'n Honey" (40" x 40") was accepted into the juried invitational exhibit, "Affinity" hosted by Jamie Fingal's and Leslie Tucker Jenison's Dinner at Eight Artists, for the 2015 International Quilt Festival. 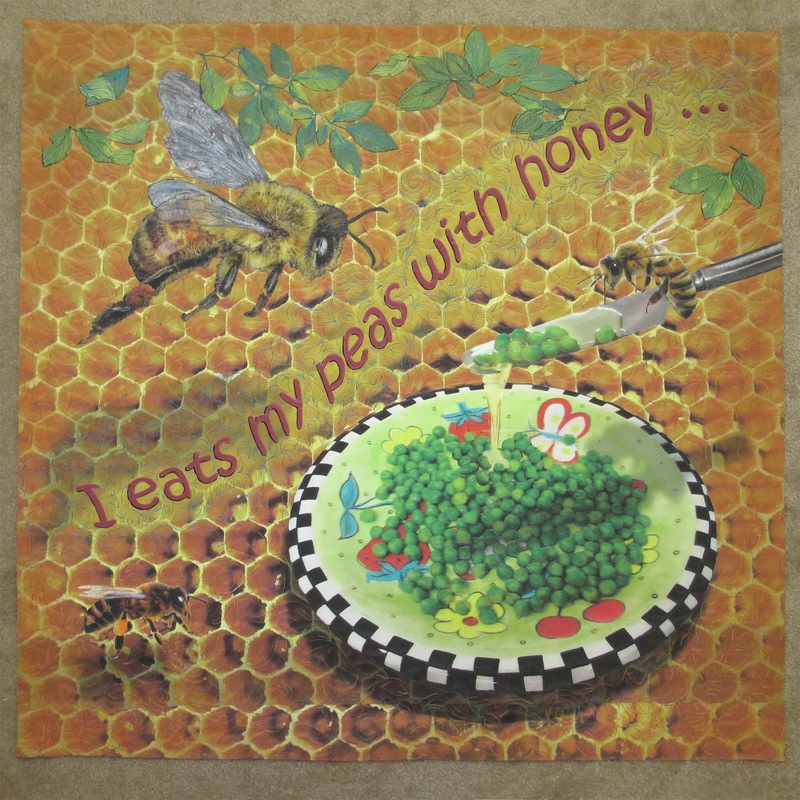 The quilt demonstrates Linda's "Affinity" for humor in art, as reflected in a favorite old poem, "I eats my peas with honey, I've done it all my life. It makes the peas taste funny, but it keeps 'em on my knife."